This is one of our favourite desserts. It’s simple, sweet and easy to make. 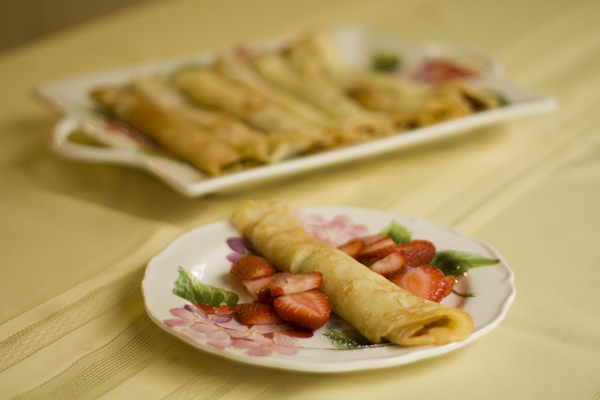 Enjoy the crepes with a glass of milk and some fresh fruit. 1. In a large mixing bowl, whisk together the eggs and the milk. Gradually add in flour, stir until well blended and no lumps remain. Add the oil, vanilla, sugar and salt, and stir until combined. 2. Heat a non-stick pan over medium high heat. Scoop the batter into the pan, using approximately 1/3 cup for one crepe. Tilt the pan in a circular motion so that the batter evenly coats the surface. 3. 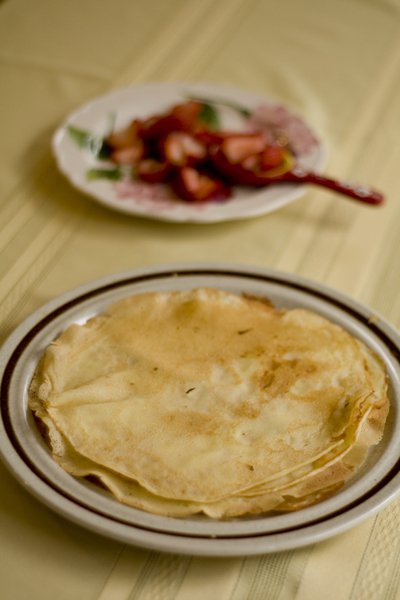 Cook the crepe for about 2 minutes, or until the edges are light brown. Flip the crepe, or loosen with a spatula, turn over and cook for another 2 minutes. 4. 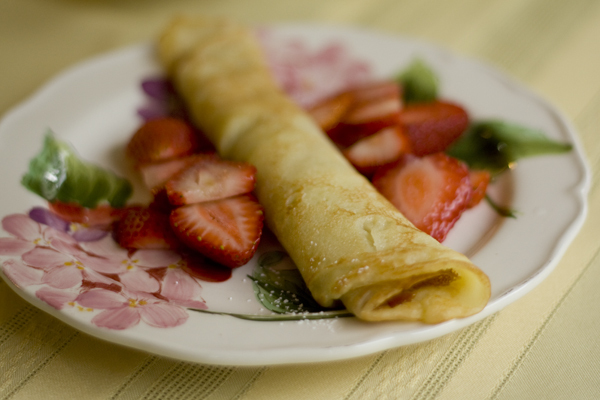 Fill each crepe with a teaspoon of jam, or a filling of your choice like Nutella.